The Netbook is not dead yet. At least here in the Philippines. Many people consider the low powered netbooks to be obsolete compared to the newer and faster ultrabooks offered by most manufacturers today. However, netbooks are still very prevalent here in the Philippines. Hence, we have to make the most out of them. Netbooks offer a lot of advantages to Filipinos. These are lightweight and easy to carry around especially for students. Netbooks also has the biggest advantage when it comes to price. Filipinos are very price conscious and having a computer at ₱12,000.00 or less is a very good deal. However, netbooks also have disadvantages. They are considerably underpowered in terms of processor speed and even in battery. The following is an exhaustive list of tips to make your netbook run faster or at least not make it slow. These tips are divided into two: hardware and software. Make your netbook run faster by tweaking the hardware. 1. Upgrade your RAM. Netbooks commonly run using Intel’s Atom processor and 1 GB of RAM. You can’t do anything with your processor but you can upgrade your RAM. Most netbooks can be upgraded to 2 GB of RAM. 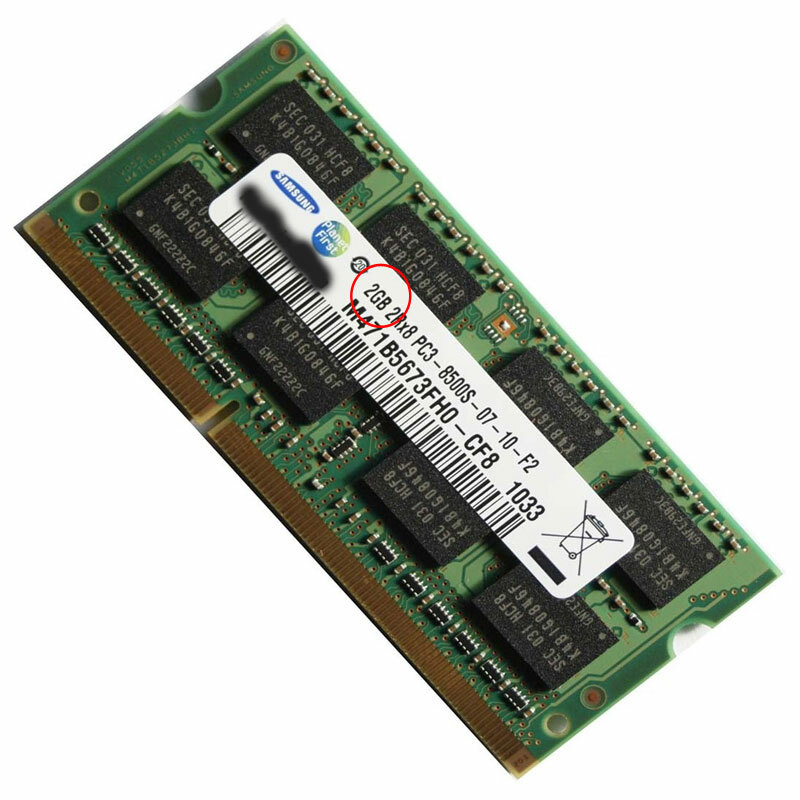 If you have ₱ 800 to spare, go to a computer hardware store and ask for a 2 GB RAM for netbooks. Bring your unit so that they can check if they have a compatible RAM for it. 2. Clean your Netbook. Over time, dust and other dirt can accumulate within your netbook. This can make your netbook heat up faster and in turn run slower. A small brush can solve this problem. Make sure you remove the dust under the keys in your keyboard and if possible, inside your netbook too. 3. Use a Netbook Cooling Fan. If you use your netbook for resource intensive activities like editing pictures using Photoshop, you better provide it with an external cooling fan. This will prevent your netbook from overheating which will slow it down or worse, fry your netbook’s motherboard. 4. Use an Extra Flash Drive or SD Card for Readyboost. 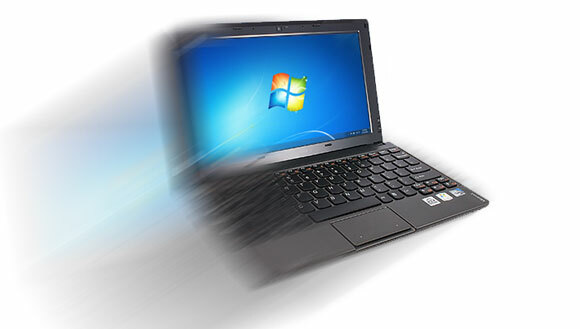 Windows 7 has a feature that lets you make your netbook run faster using a flash drive or SD card. If you have a spare one of those, connect it to your netbook, right click on it in My Computer and Choose Properties. Choose the Readyboost tab and click use this device. Make your netbook run faster by tweaking the softwares. 1. Choose Windows 7 or Ubuntu. Let’s start with your operating system. You might be excited to try Windows 8 but unless your netbook is touchscreen, you shouldn’t do so. Windows 7 will serve your netbook just fine. Windows XP runs faster but Microsoft will stop supporting it soon. If you’re not afraid to try new things, use Ubuntu as your operating system. 2. Use Windows 7 Basic or Classic Theme. Sure, it’s cool to use the transparency effect with Aero themes and populate your desktop with amazing background pictures but that will only slow your netbook down. Right click on your desktop and choose personalize. Choose the Windows 7 Classic theme for fastest performance or at least the Windows 7 Basic theme if you despise how the Classic theme looks. 3. Use Microsoft Security Essentials as your Antivirus. I once thought it is necessary to use Kaspersky or Avast in my netbook but it just slowed down my Lenovo Ideapad S10-3. I then learned about the lightweight antivirus from Microsoft and I tested it. Don’t be too scared with viruses. Just make sure you scan flash drives before using it and make a full system scan each week. 4. Don’t Allow Programs on Startup. One of the slowest processes that we experience in using a netbook is starting it up. It can take several minutes before we can use our netbooks which can be very frustrating when ewe are in a hurry. This is due to a lot of other programs that also start during the Startup process. You can remove them by clicking on Start and typing msconfig. Click Enter then click the Startup tab. Uncheck all options except Microsoft Security Client. Click Apply and restart your netbook. 5. Uninstall programs that you are not using. You surely have several programs that you don’t use like Yahoo Messenger since we already have skype. Don’t keep it in your netbook, unistall it by clicking on Start then Control Panel. Choose Uninstall Programs and uninstall programs that you don’t use. If you encounter a program that you don’t understand, Google it and decide if it can be safely uninstalled. 6. Use Google Chrome instead of Internet Explorer or Firefox. If you’re still using Internet Explorer, it’s high time to change. IE will just slow you down and remove cool effects in several websites that you visit. Firefox is a good browser but it’s slower compared to Google Chrome. Chrome also features a clean interface which is good for your small screen. 7. Use Foxit Reader instead of Adobe Reader. Adobe PDF Reader sets the standard in viewing PDF files but it has been bloated up with features that you don’t really need. Use the lightweight Foxit PDF reader instead or search for any lightweight PDF Reader of your choice.